Caution! This machine is powerful! Explore your territory in Bennche's most powerful unit, the Spire 800. A V-Twin 800 c.c. 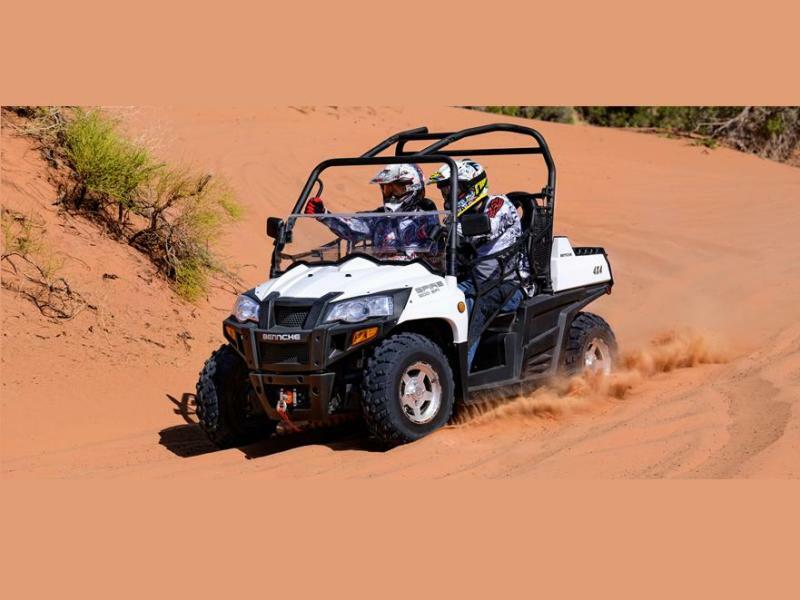 engine provides a powerful 55HP, while the Spire's automatic L-H-N-R transmission and on-demand 2W/4WD drive train lets you take on any terrain. Ready to ride? The Spire 800 fires up right away, thanks to its electronic fuel injection (EFI) system. No matter where you want to go, you can get there in the Spire 800!